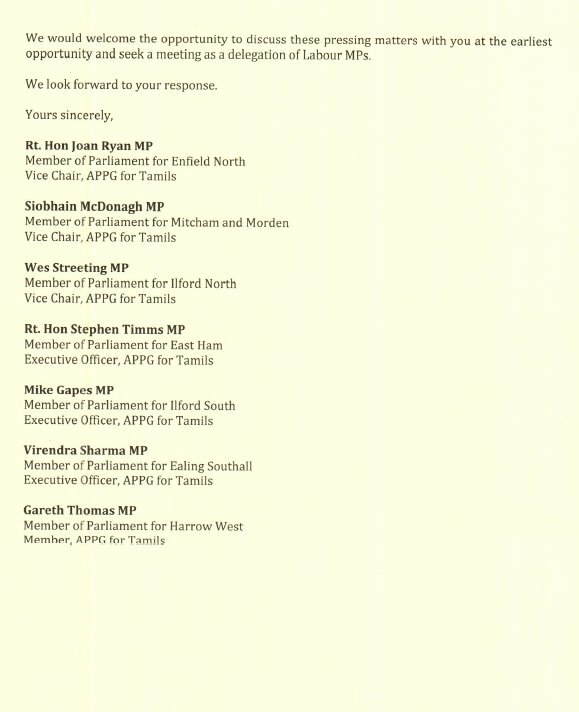 A group of British parliamentarians have written to the UK’s foreign secretary warning that “Sri Lanka’s political stability is at grave risk” and called for discussion on the suspension of trade concessions to Colombo. The seven parliamentarians, who are part of the All Party Parliamentary Group for Tamils, said they were “deeply disturbed by the recent, undemocratic actions” on the island, including the appointment of Mahinda Rajapaksa as prime minister. The letter from the lawmakers said Rajapaksa is accused of “perpetrating war crimes, crimes against humanity and egregious human rights abuses”. “Sri Lanka’s political stability is at grave risk. The rule of law is under attack. And the human rights of its citizens are, once again, facing severe challenges. 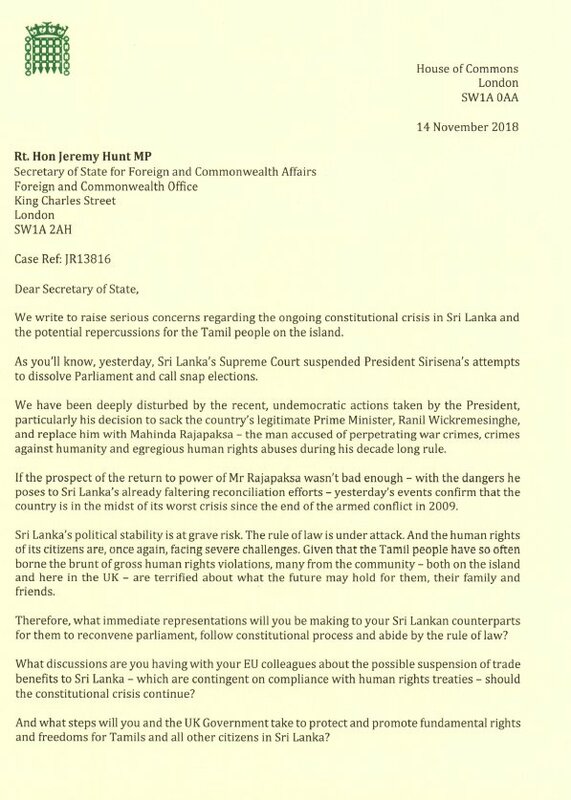 In conclusion the MPs enquired as to the discussions the British foreign secretary was having with his EU colleagues “about the possible suspensions of trade benefits to Sri Lanka – which are contingent on compliance with human rights treaties – should the constitutional crisis continue”. Their call comes after the European Union warned that Colombo may be stripped of trade concessions, as the political turmoil on the island deepened. The fallout has had a massive impact on the island, as tourism has plummeted and international organisations warning of sanctions.